For the second time in four years, a Widener Law Commonwealth student has been chosen as a recipient of the American Bar Association’s (ABA) Business Law Diversity Clerkship to clerk on the prestigious Delaware Court of Chancery. 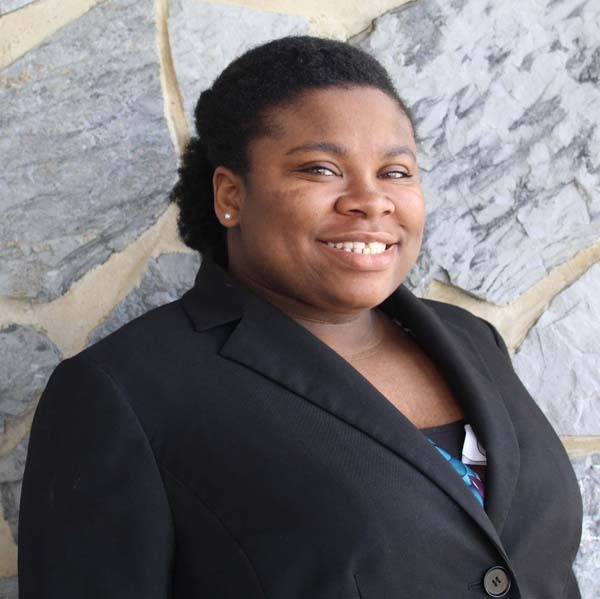 Waleisha Moat, a second-year law student from Schuylkill County, will begin her eight-week clerkship for Vice Chancellor Joseph R. Slights in July. Moat was one of four students selected for the clerkship out of 50 applicants. She was the only law student from Pennsylvania to be selected and the only one that will clerk with the Delaware Court of Chancery. The Delaware Court of Chancery is the nation’s preeminent business court. It is a non-jury trial court that serves as Delaware's court of original and exclusive equity jurisdiction. The court adjudicates a wide variety of cases involving trusts, real property, guardianships, civil rights, and commercial litigation. Participants in the ABA Diversity Clerkship Program receive mentoring and guidance in the business law field and exposure to all types of business law they may not see in the classroom. The program also provides students with networking and professional development opportunities. Participants are invited to attend the ABA Business Law Section Annual Meeting which will be held in Washington D.C.
Moat is working toward earning the Business Advising Certificate, through the Business Advising Program at Widener Law Commonwealth. The program provides students with a real-world approach to learning business law, with courses focusing on business organization and structure, taxation, financing transactions, employment relationships and intellectual property. “I'm so proud of Waleisha,” said Juliet Moringiello, associate dean of research and faculty development and professor of business law. "The fact that we have had two students chosen for this honor in the past four years shows our students' commitment to engagement with the profession, and I know that Waleisha will represent Widener Law Commonwealth very well." Moat added that while she is nervous about the clerkship, since it will take her away from her family, she is looking forward to learning more about business law and applying the legal skills she has developed in the classroom.